Why is this steering column brace not fitting up correctly? Also,this fender brace I bought up at Luray. I can not make it work.what is wrong? It will fit on 1 side but it seems to big to fit the other. Measure everything and see what you have going on. 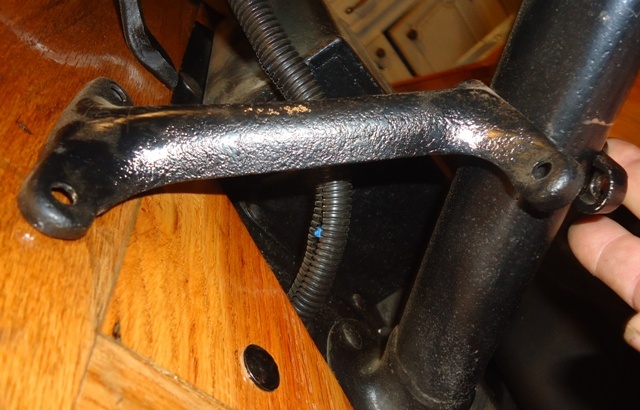 Mack , I added an inch to the center of the same steering column brace so it would work on my wood cab truck body. Once cleaned up and pwdercoated, it looks great. Hope this helps , every application is a little as for the fender Barca�s, looks to me that if you take a bit of the threaded end off both ends, it should work. I suppose another way to make the steering column brace fit might be to add a block of wood spacer against the firewall. Are these items actually Ford parts or are they �jobber/after market �?